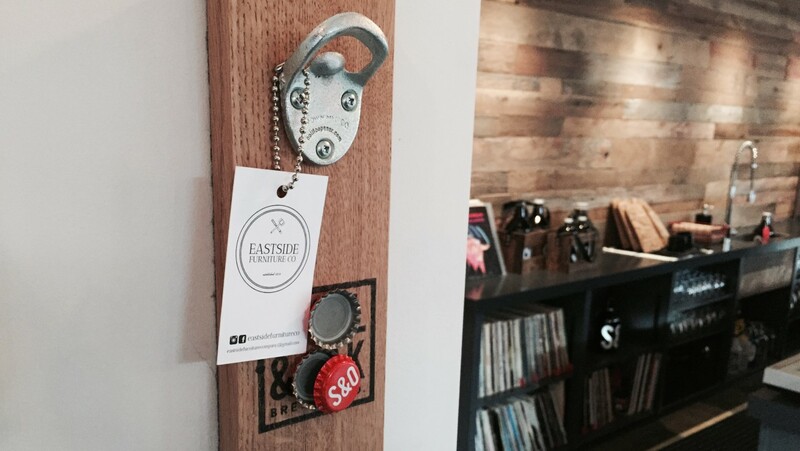 Steel & Oak x Eastside Furniture Co. - Steel & Oak Brewing Co.
Steel & Oak x Eastside Furniture Co.
We’ve collaborated with Eastside Furniture Co. to bring you the ultimate bottle opener. Hand crafted in East Van the opener mounts to your wall and has a super strength magnet inside to capture your bottle caps before they hit the floor. Click the link to see it in action! Available in our Tasting Room.